On the top of this page is a website search engine. at the same time to open a search bar. Type in the word, and it highlights wherever the word is found on the page. ~This guide is intended for new players starting out in Fairyland and covers all the basics to get you to Astral and Legendary ~ but some long term players might learn a few things as well. Fairyland is a gardening and hunting game with a large social element. You can see the Game Terminology area for help with any words you do not understand. In Fairyland, every player has a garden, where they grow various plants to "level up", and where they put out food to attract wildlife. Every player can also visit other gardens in the game (except private ones), water the plants in those gardens, and try to spot wildlife there. Players can leave each other messages ~ some choose simple messages like 'sprinkles' (meaning they watered), but some write more personal ones. It's also possible to cast spells or leave gold or diamond for your friends just for fun! Fairyland offers a very wide selection of choices - it's up to you which direction you choose and what goals you want to achieve. * How does the Rainforest Protect Program work? Fairyland has simply selected their "Adopt An Acre" program as an appropriate and worthwhile cause to support. First, you will need to know how to get around in the game and what all the icons and numbers mean! This is your toolbar - you should see it on the top at all times. It has a lot of information. All Gardens - the page with your facebook friends' gardens, your favorite gardens, and some random gardens. My Garden - your own garden. Wildlife - Wildlife Guide where you can see information about wildlife. Find Gold - you can find gold there! 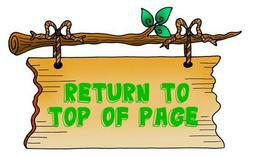 News - latest updates from Fairyland, as well as a place to advertise your garden. Forums - a place to chat with other players, ask for help, or advertise your garden. Help - some questions about Fairyland answered by the developer. The lower part (light green), has some other information. If you click on the icons, more information is available to you. Amount of gold you currently have. Amount of stardust you currently have. Notifications - you get those when wildlife is spotted in your garden and for other events in the game. Now, click on the link to your garden (My Garden on the toolbar) and take a look around there. 10. Greenhouse (Store up to 3 plants) All topairy trail challenges must be completed to earn this. Just under Garden tools, it says Garden Owners - it lists your name and picture & your Fairy's name and picture. If you click on the names in blue it will take you to the garden's Backwall (more information on that further down the page). You can also see your Fairy's status (information how to update it will be available a little lower down this page as well). It also shows you information about your game, if you have one - the type of game and when it will expire. Don't forget to check back on it to renew it. N.B. Your tables MUST be empty before you can change the alert time! If you look a little lower, you will see it looks a little like this. A lot of information is available here! The 'Wildlife spotted' section shows what and how many of particular wildlife you have attracted to your garden. Click on 'Show All' to see all the details. The total diamond count you have earned from wildlife spotted by others in your garden is shown here as well. The 'Fruits Harvested' section shows every plant you have grown and harvested, how many of that plant you have harvested and how much Rainforest has been saved. Click on 'Show All Plants Harvested' for the full list. The Garden News is an important section. It shows how long ago the last visitor in your garden watered a plant, whether anyone spotted any wildlife or won games. Click on 'Show All' for a longer log. The Garden Level section shows your current garden level, the age of your garden, and what plants you have to harvest to achieve the next level. When you go to other gardens, you will see similar information available about that particular garden. Go to the Pot Shoppe and choose a pot. Once you buy it, it will give you an option to buy a plant for it. Choose a seed. Or... Hover over an empty pot in the garden and select an option to plant in it. If you hover your mouse over a plant in your garden, you will see a menu which looks like this. If you click on those arrows, you can rearrange your plants in your garden. It will also show you the plant status, when the plant was planted, how long it will take to wilt and die, and when it was last watered. You will also see options to water a plant, to remove or harvest a plant and to sprinkle some diamond dust or fruit dust on it. The thirstiest plant in the garden will have a red, rather than a brown, background under it's name. If you hover your mouse icon over the red mushroom on the upper left corner of the toolbar, a menu like this will pop open. It has your Fairy name, Fairy picture, status, and options to change them listed on it. When you choose a picture for your Fairy, you will also have option to set a type of Fairy (Fairy, Fae, Elf, Pixie, Woods Faye, Water Nymph, whatever you like!). It also lists how many different Fairy dusts you have and has the option to buy more (you can buy Wands there as well). You can also see a history of dust sprinkles and spells you have sent or received. Click on 'See All Sprinkles' to see dustings and on 'Spells Cast' or 'Spells Received' to see spells. There are links toAlchemy and Herbalism - it is here that you will use your random items and some fairy dusts. There is a Superpowers link too - for those who have completed all their Herbalisms. A 'Make a wish' page is here just for fun - make a wish and see whether it comes true. You can invite friends to play Fairyland with you! Preferences give you some options. You can choose whether your friends can see when you are playing Fairyland (on by default), whether you see backgrounds and animations (on by default, but you might want to change it if you have an older computer or a very slow internet connection), and how pop-ups work (this is what happens when you hover over a plant - by default, a little box with information pops out, but you can choose to click on the plant to see that information). And if you click on your Fairy's picture, it will take you to your backwall. Your Backwall looks like this! You can see your profile and your Fairy's picture as well as a lot of information about your Fairy - your status, when it was last updated, your Fairy's birthday, garden link, garden level and wildlife level. You can also see messages from other Fairies. Some Fairies also choose to record information about plants here - like when they will be ready for harvest. You can also paste some Ascii Art you like onto your Backwall for easy access when you go out sprinking other gardens. There is also listings of all the wildlife you have spotted in other gardens. When you visit other gardens, you will see they look a lot like yours. The same information is available, just without options to change it. You can water other fairies' plants and try to spot their wildlife. If you leave a message (just enter it at the available box and click 'Post'), some Fairies will choose to come and visit your garden in return. It means you won't have to water your own plants very often or not at all. Do leave messages, even if it's just to say you visited and watered a plant - it makes it easier for others to find you and make friends. You can find some text art here to choose from. If you click on the blue persons and Fairys name, you will go to that person's Backwall. You will see similar information as on your own Backwall there - and you can leave messages as well. The one thing different from your own garden is an option to add other gardens as a favorite. It will appear on your All Gardens page if you do it. Just click on 'Add to Favorites' at lower right corner of the garden (below the plants). You can have 30 favorite gardens - and you can remove them from favorites on All Gardens page if you ever want to change them out. Date, Backwall link, garden link. You can see the person's and Fairy's name - click on it and you will go to the person's Backwall. You will also get to the person's Backwall if you click 'reply' under the message. The 'Garden' link will take you to the person's garden. 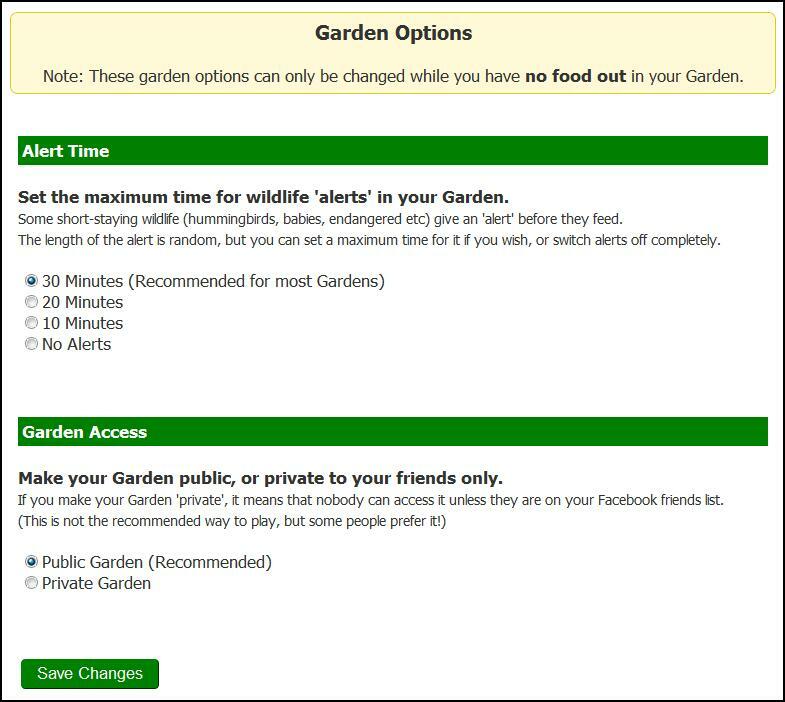 'Delete' option is available if it's your garden or your Backwall - you can delete messages or leave them. You also have an option to report a message. You shouldn't have to use this very often, but sadly sometimes you might run into players behaving un-fairy-like. If you think a message is inappropriate (aggressive or contains something not appropriate for people aged 13 or under), you can report it and the developers will be able to deal with it. When you visit other gardens and water plants, sometimes you will spot wildlife. When you find wildlife in a garden, a picture will pop out - you will know when it happens! It is considered proper Fairy Manners to leave a message for the garden owner when you spot wildlife. You can read some tips for how to best go about spotting wildlife here to help you. Try to plan and set-up your garden well. Always try to have food out for wildlife in your garden - it will help to make sure your visitors come back more often.A garden game is also a nice touch. You shouldn't really have to water your own plants, as you will get other players to come and help you if you advertise. It also helps if someone else spots wildlife in your garden since they get diamonds and so do you! Some players will be reluctant to return to water in your garden if they see you are watering your own plants. Its one thing to have be in competition with other players for spotting wildlife, but for many players competing with the garden owner for spotting the wildlife tops the cake. (the diamonds are not doubled if you spot your own, you get the same diamonds you would if someone else spotted the wildlife- only it doesn't cost you any gold when they spot 'em!) Of course, if your plants are close to wilting, you should water them if you haven't had any visitors in awhile. If this is a problem you are running into with infrequent visitors, advertise- advertise~advertise~! Every time you put out new food let people know!